Click on any of the thumbnail photos above for a larger view. 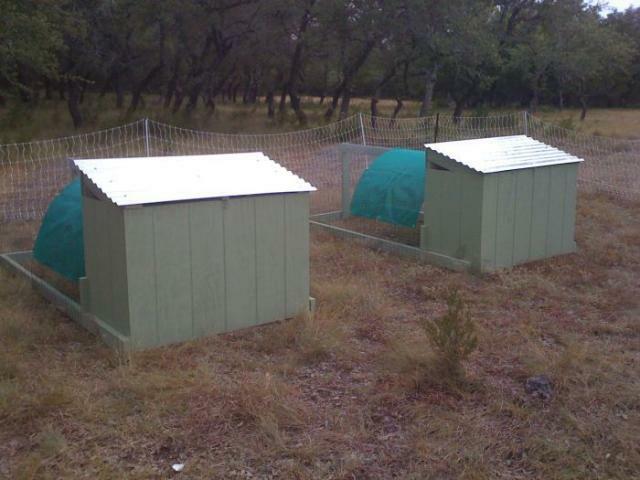 Overall these "Mini Coops" are 4' x 8'. They are made in two parts. The house is 2' x not quite 4' wide. The wire run is 6' x 4'. As you can see in the third photo from the left, the house slides between the 2x4 runners to make the unit. Once in place, a single screw goes behind the little filler board on the house into the 2x4 runner to keep the house tight against the wire run. There is an access door to the wire run, then the top of the house is hinged to provide access. You can add nest boxes and a diagonal perch, as in the far right photo, or you can skip the nest box and make one long perch. My chickens deal more with heat and rain than extreme cold here in Texas, so the house is not insulated. 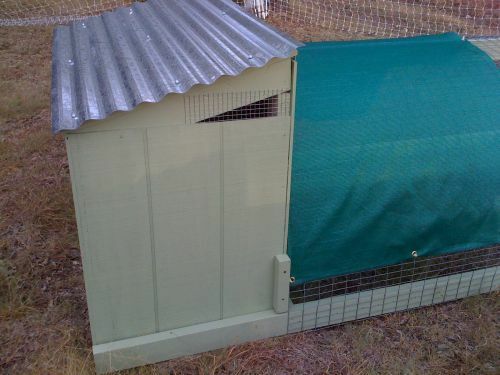 The green shadecloth provides some shade, but an improvement would be something more waterproof, like a tarp, since I keep their feed and water in this area. I found a grommet kit at the hardware store, so I put grommets along the sides and ends of the shade cloth and zip tie it in place. For the base, which is 4' x 8', we use 2x4 s. There is a 2x4 at one end, and another 2' inside the opposite end. One end is open, so the house fits between the runners. I felt like this design would make it more difficult for the house to be pulled away from the run in case of high winds or a determined predator. The wire is 1x2 welded wire, like you would find on rabbit cages. I have also used 1x1 and 1/2 x 1. Since these pens are inside an electric net fence, I don't worry about racoons reaching through the welded wire. The run is made of two pieces of welded wire seamed together with "j" clips. The end piece of welded wire is fastened with small hog rings. They aren't as tight, but work better on the curve. All the welded wire is staple to the outside of the 2 x 4 runners along the bottom. The piece of wood that holds the runner at the top of the arch or wire is 32" tall. We use a 4' wide and a 2' wide piece of welded wire (each 90" long) to make the half circle. The end piece is 4' wide and about 32" long. After it is in place, I cut off some of the excess on the upper corners. It doesn't make the end a perfect half circle, but it does the job. What I didn't expect was how quickly my chicks would fill up these pens. Since they are growing quickly, but are too young to be housed in breeding pairs, I drop the wire door and let them free range within the electric net fence. They do go back to their mini coop at night to sleep. 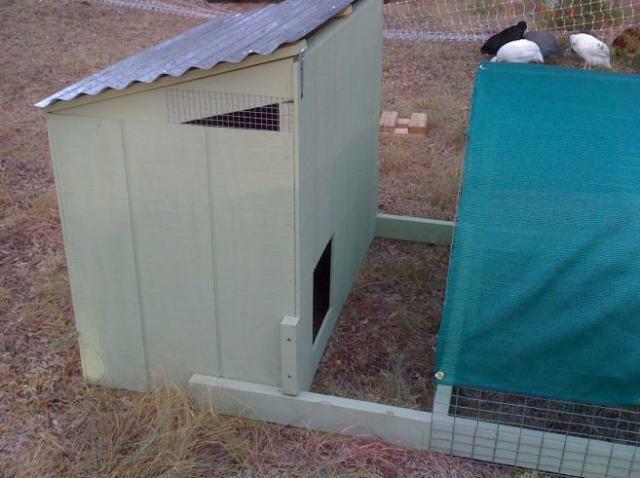 "Cute idea for temporary coop"
Nice article! I personally like to see materials used in a list form but that's just me. 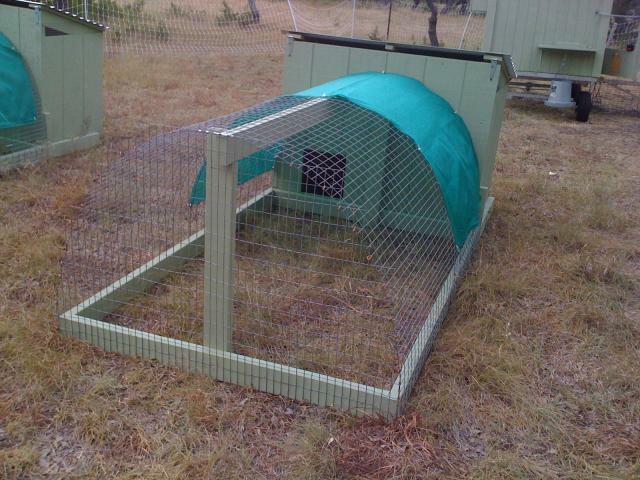 The welded wire would allow rodents and snakes access to the chicks, and raccoons will simply stick a paw in and drag a chick out or just eat it through the wire. In my experience. Overall, I think safety is enough of an issue that the plan needs tweaking by the addition of hardware cloth over the welded wire. Of course it needs to be fastened down within an inch of it's life, but the great thing about the plan is the base to attach to. I like the "hoop house" cover over the coop. 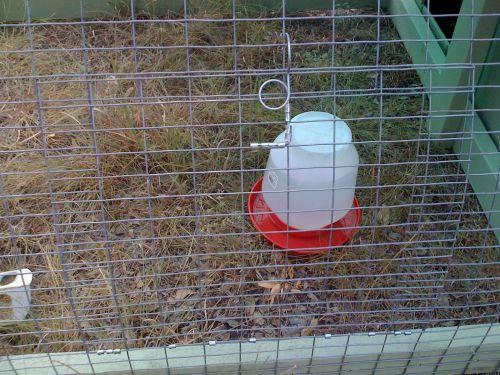 I worry that the welded wire fencing would let in small rodents and snakes. Have you had any problem with this? It would be a big problem in my neck of the woods. Great, easy to understand plans. These would be great for a pair or trio of D'uccles. Thanks for sharing your mini coops! Really nice! 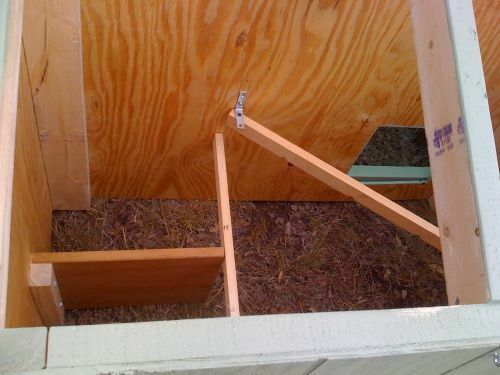 You could even put external nest box/es attached to the side for extra space inside the coop. 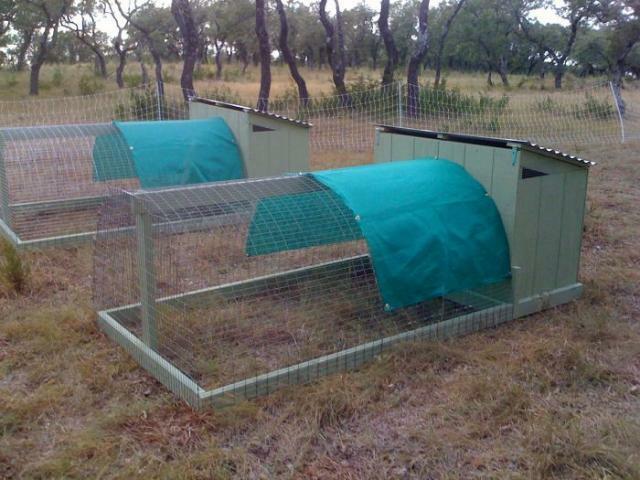 I really like this for a grow out pen for the babies... or even a trio of banties.